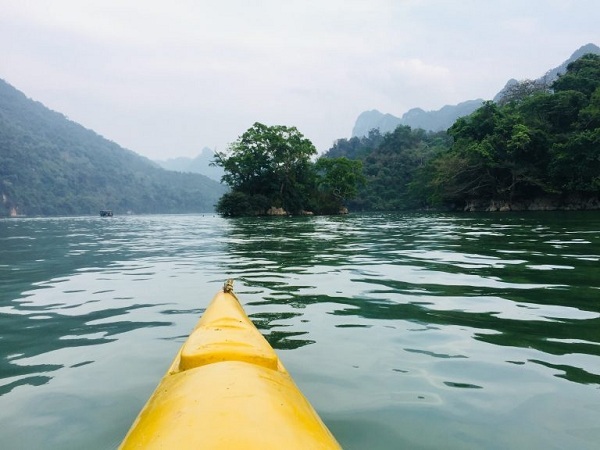 Boat trip, kayaking, hiking, cycling or just relaxing at homestay is what you are looking for in this leisure trip departing from Hanoi for a couple of days? Ba Be Lake will be the best choice for a short break from the daily hustle and bustle life. 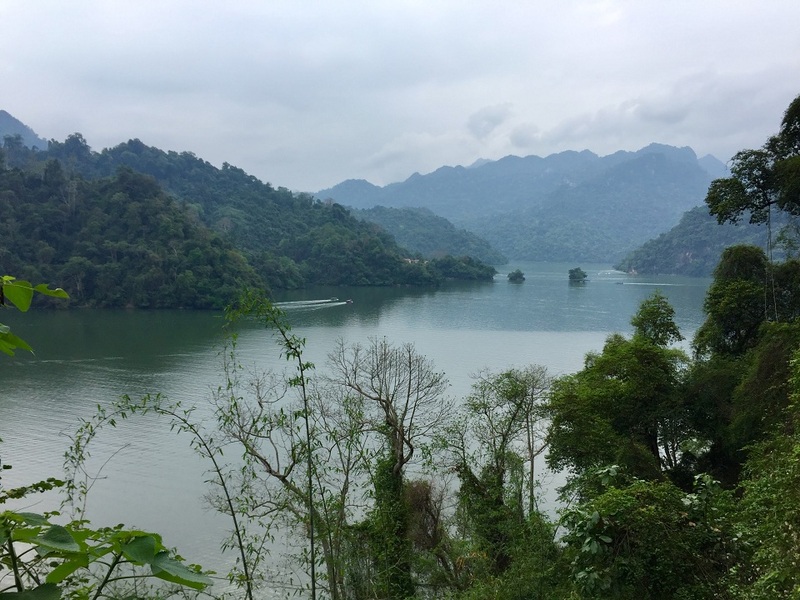 Having been known as the largest natural lake in Vietnam, Ba Be Lake is located inside the Ba Be National park in Bac Kan Province, 240 km Northwest of Hanoi city. 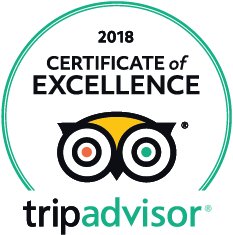 You will find a huge number of things to explore here, from a vast variety of flora and fauna to interesting natural geology and scenic landscapes. After the Ba Be area was established as a national park in 1992, the site was soon recognized by UNESCO as the third Ramsar site in Vietnam – an important wetland of the world. One of the most attractiveness of Ba Be Lake is its vast limestone mountain range surroundings creating various shapes of limestone islands rising on the water. Throughout your boat trip along the Ba Ba Lake, you will have chance to see a few beautiful caves with special rock formations developing for more than millions of years. With the average depth of 20 – 25m and the deepest part of 35m, the lake bed is really an ideal home for a various marine life where finding over a hundred of species of freshwater fish in the lakes. Apart from its beautiful natural values, the region is a home to 13 tribal villages, mostly Tay minority people and smaller groups of Hmong & Dzao people making the destination a rich culture area to discover. Within a distance of 240 km, reaching the Ba Be Lake by public transport from the bus stations in Hanoi is quite challenging with limited service quality. It can take you up to 6 hours in a crowded bus especially on weekend or public holidays. Also, the bus normally just drops off at the entrance gate instead of the homestay in tribal village which is 5-6 km away. To save the time and to extend your comfort while traveling, you can hire a private van if you travel in a big group from 3-4 people. 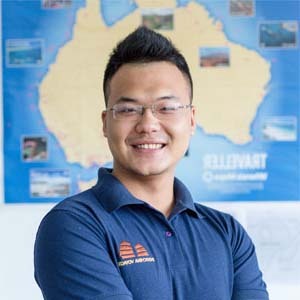 Otherwise, for a small group of 1 or 2 people, choosing shuttle bus with great quality that picks up and drops off inside the Old Quarter of Hanoi is the best option. The transfer may take you at least 5 hours excluding stop to stretch your leg on the way so you will reach Ba Be homestay at noon. The ticket per way costs you around 15 – 20 USD/person. 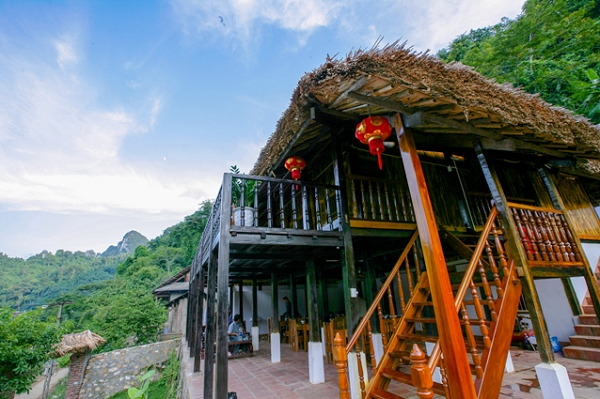 Since the Bac Kan province and Ba Be Lake area is not developed yet, there are not many high quality accommodation to choose as hotels in big cities but you can try staying at the local homestay of ethnic people which is a very popular way for overnight originating from the tourists’ interest to interact with the people in their own traditional houses. There are 2 tribal villages that are running the community homestay for more than 10 years: Pac Ngoi & Po Lu village. Pac Ngoi is the first place in Ba Be lake to welcome guests while Po Lu just starts the services for not long ago but it is known as a good place with less tourists and more untouched route for trekking. The cost for staying overnight is from 8 – 10 USD/person sharing the dorm area or in a private small room at the same house. 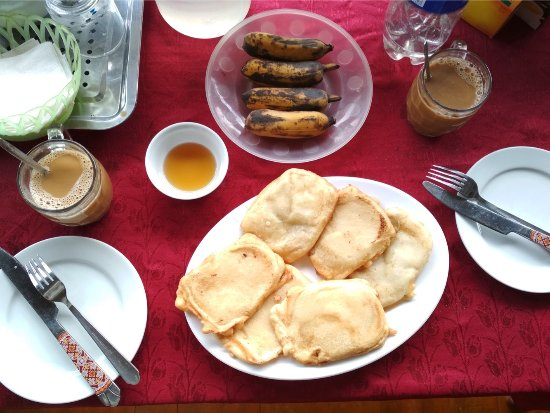 You can find better quality homestay with more ensuite equipment but the cost may range from 20 – 25 USD/person/night. You can hardly find any restaurants, food stalls here like in big cities so the hosts of homestay are the one to serve you the most organic meals: from the vegetables in the little garden to the rice from the last crop or the chicken meat or pork meat… The dishes chosen are a combination of a healthy diet: soup, boiled rice, one or two main dishes of meat and the dessert to end the meal happily. The biggest happiness that I experience was to see the way they cook, to talk about the recipe of each dish and the origin of all food I ate. Here is the brief itinerary that I did for my own trip since end of April. The trip lasted for 3 days 2 nights which is suitable for both outdoor activities and relaxing during staying at homestay. Normally, the tour can be designed for 2 days & 1 night but to cover almost the highlights of Ba Be area, it will be too rushed to enjoy so I chose to extend one more night so it fitted very well my need to spend time relaxing. 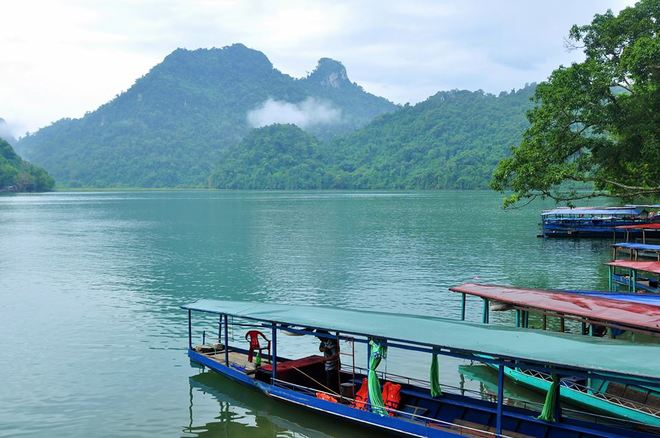 To visit the Ba Be Lake, you are suggested to hire a motor boat to go through or stop over around 4-5 routes: Widow’s Island, Pagoda, Puong Cave, Dau Dang Waterfall, Fairy Pond… that takes you around 1 hour and a half for maximum. But this way suits for first-time visitors within a short period of time. If you would like to be more active and get closer to the karst around the lake, go kayaking to two of the mentioned above sites will more more fun than by motorboat. 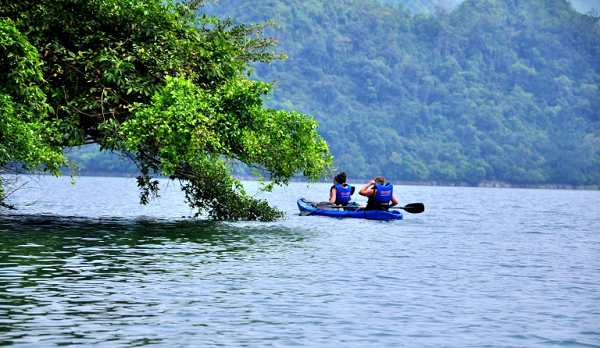 The cost per kayak is 10 – 20 USD/hour for two persons. Swimming around the Ba Goa Island is also a good way to cool you down after long hour kayaking. Taking a rest until noon, you now start your cycling trip to Hua Ma Cave – mysterious tourist destination just 6 km from the Pac Ngoi Village. On the way to the cave and back to homestay, you will be immersed in the green space of nature with rice paddies, small river, corn fields and green trees. A quick “Hello” to the local children cycling with friends was really memorable for us. If you travel at weekends, book your transfer as soon as possible with the bus departing at Old Quarter because it will be fully booked soon. Don’t forget to book the return tickets if you are fixed for 3 or 2 day trip. The insect repellent is a must-have item for your trip because the mosquitoes are too many and too big. If your trip includes some trekking to the rural villages, you will also need this to avoid any unexpected bite. If you are allergic to specific food or want to eat vegetarian, just tell your host to cook suitable food for your meals. The host will be definitely happy to make your meal delicious for you only. You can totally combine your trip to Cao Bang Province or Lang Son Province if time allows up to 4-5 days in the region. The best time to travel will depend on which activity you are more interested in doing, such as from April to May, you have chance to see beautiful rice paddies, April – May, August – October are two good time for swimming, October to July – trekking. If you have much more time, you can combine Ba Be Lake trip with Halong Bay, a UNESCO World Heritage Site. 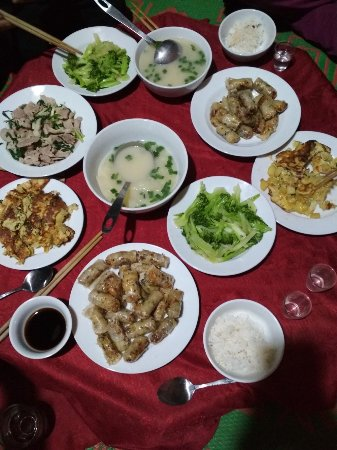 Please click this tour link for your reference https://www.indochinavoyages.com/vietnam-tours/adventure-the-northeast-vietnam-6-days.